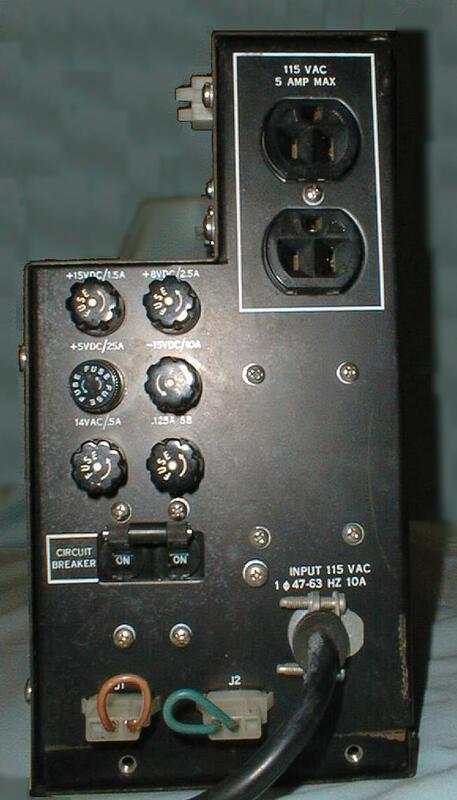 This is the end view of the h724 power supply, it has the main AC input and circuit breaker. It also has an accessory outlet which is controlled by the front panel switch. The J1 and J2 connectors allow remove control of the power but use are not compatible with the method used on later machines. The fuses for all the various voltages are also visible.